"This is my game boys!" Greg Mueller just shouted in excitement after he just managed to win two massive pots in Limit Hold'em. 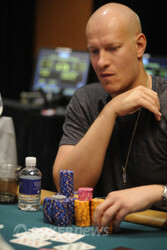 Mueller has two bracelets in Limit Hold'em, and warned his opponents beforehand about his skills in this game. And he also ran quite good! On the first hand Mueller raised to 40,000 from the small blind and Donnacha O'Dea defended his big blind. The flop came down and Mueller bet 20,000, O'Dea called. The turn was the and Mueller checked to O'Dea who fired out 40,000. Mueller just called. The river was the an Mueller checked again. O'Dea fired out 40,000 and Mueller announced a raise right away. He put in 80,000 and O'Dea made the call. Mueller tabled for the nut flush and O'Dea flashed his . Both players had huge hands, but Mueller had the winning one. Two hands later Christopher McHugh raised to 40,000 and Mueller made it 60,000 from the hijack. Action got back to McHugh who made the call. 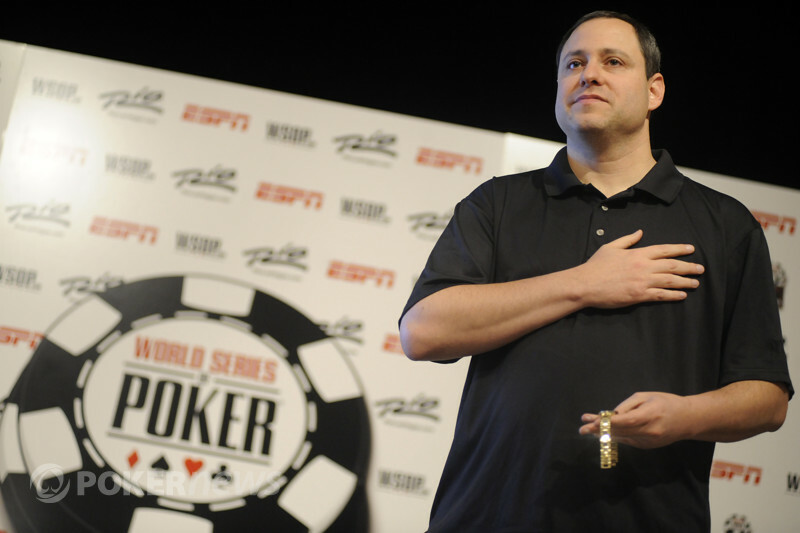 The flop came down and McHugh check-raised Mueller's 20,000 bet to 40,000. Mueller made the call and the turn was the . McHugh bet 40,000 and Mueller made the call. On the river the hit the felt and McHugh bet another 40,000. Mueller decided to raise to 80,000 and McHugh called. Mueller showed for a full house and raked in yet another big pot!